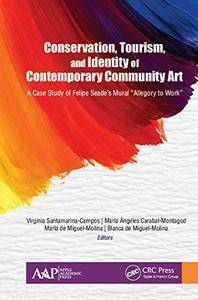 This unique volume aims to promote new models of sustainable management in the field of contemporary mural art. Cultural heritage has become an essential tool for society, stressing the necessity to properly conserve cultural resources in order to maintain a socially, economically, and environmentally sustainable development. 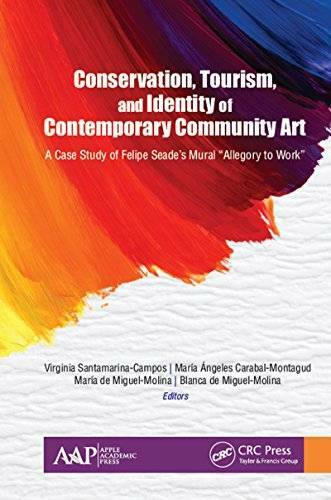 In this book, the mural "Allegory to Work" by the artist Felipe Seade, located in Uruguay, is used as a case study. The work of Felipe Seade, a prominent political mural artist of the twentieth century, reflects the influence of Mexican heritage and the socio-political themes of that time, which were commonly used by the Social Realism art movement. The authors look at the mural―and its restoration―through the lens of tourism, globalization, and new interest in cultural heritage. The book demonstrates that the restoration should be aware that the perspective of the protagonists must be incorporated in the intervention process. This first-of-its-kind volume brings together historical, ethnographic, tourism, and scientific research that leads to a sustainable project, from the point of view of identity, economy, politics, and society. This volume, with over 50 color illustrations and many black and white photos, will be valuable for college and research libraries, undergraduate and graduate students, researchers and professors in the field of cultural heritage and art as well as those involved in community-based research.